On July 3, the Great Falls Voyagers will team again with the Cascade County Relay for Life when they play the Helena Brewers in the 2014 edition of Paint the Park Purple. Local Relay teams have helped raise funds for the American Cancer Society through the sale of tickets to the game as well as special T-shirts. Local Relay teams will be selling General Admission tickets for the July 3rd game against the Brewers. Each $8 ticket will result in $4 going back to the Relay. T-shirts to the event are $20 with $4 going back to the Relay team. Ticket and T-shirt packages are $25 with $7 going back to the Relay team. Ten packs of tickets for the game will be $80 with $44 going back to the Relay team. And the Ultimate Team Fight Pack of ten tickets and ten T-shirts is $250 with $75 going back to the Relay team. 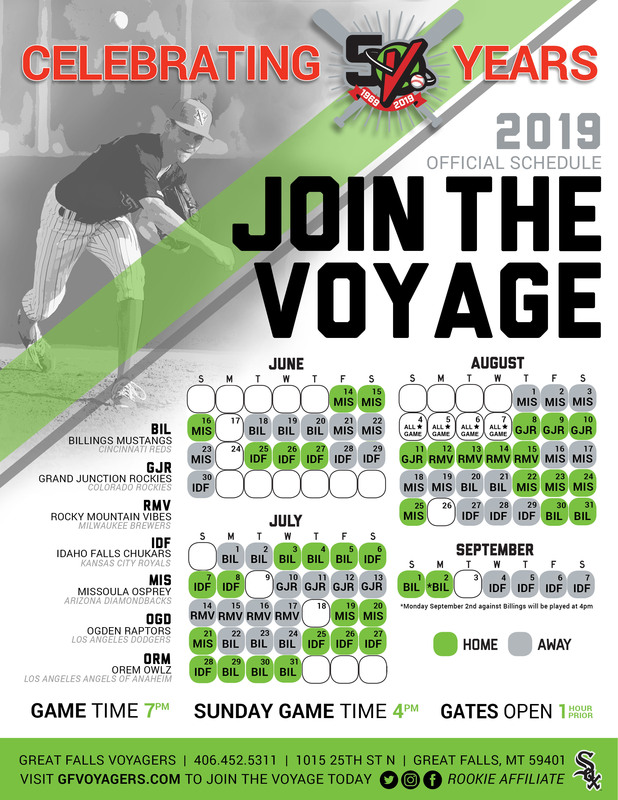 For more information on how to contact a local team for tickets or shirts, you can call the Voyagers' business office at 406-452-5311 or Cascade County Relay For Life Co-Chair Heidi Reiste at 406-781-1827.